As a kid, I was never a fan of fireworks. Sure, they were kinda pretty but the noise they made always bothered my shunt (the reverberations) and quite frankly, they just scared me. 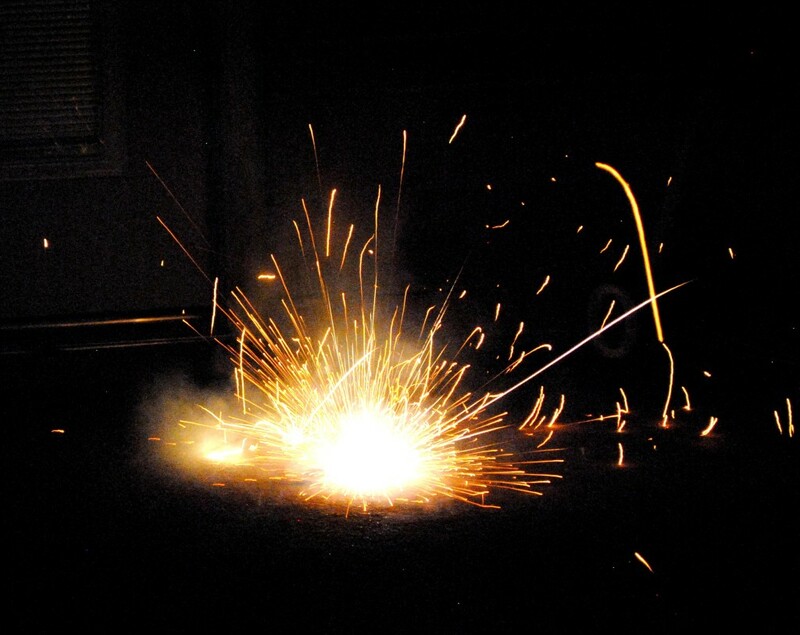 The exception were sparklers. Those were just pretty! 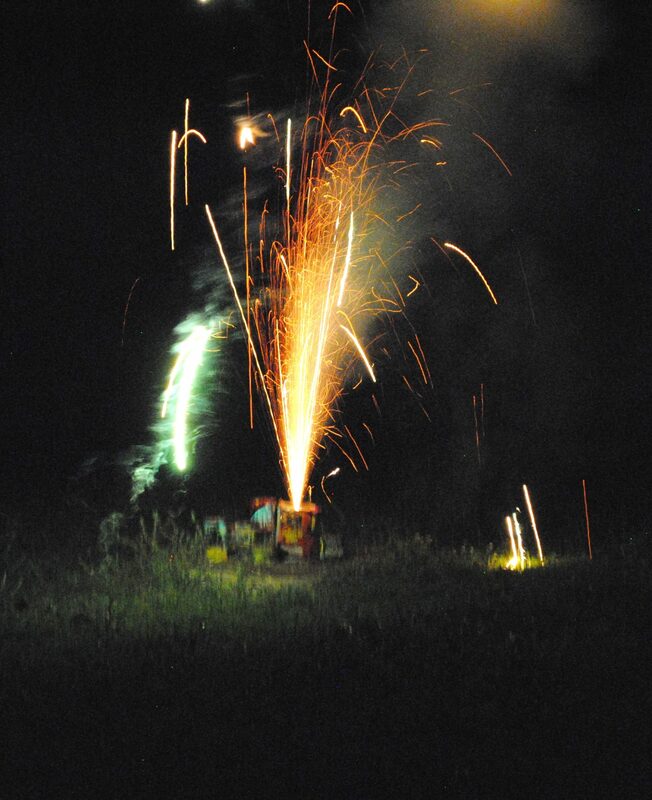 So of course yesterday when my husband and I experienced a first in our relationship together-we bought fireworks together for the first time-I told my husband I had to have sparklers! He thought I was nuts because all they do is ..sparkle but he bought me two different kinds. 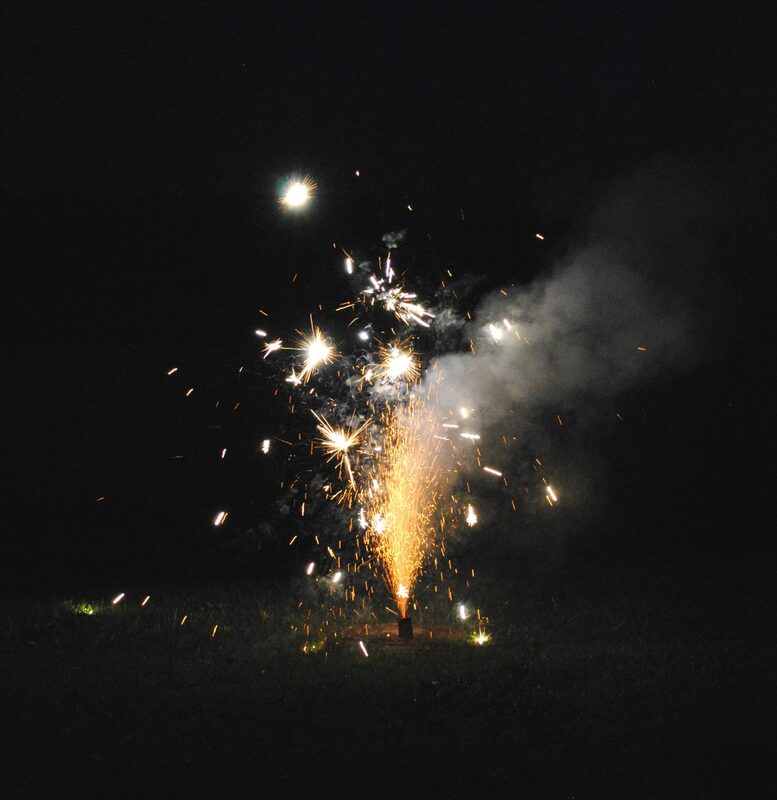 John grew up with fireworks and loves them. That’s why we’re both a little surprised that we’ve been together for more than seven years and this is the first time we’ve never bought fireworks together. I guess time and finances (and me not being totally into them) played a role? At any rate, we got a small but really enjoyable mix. 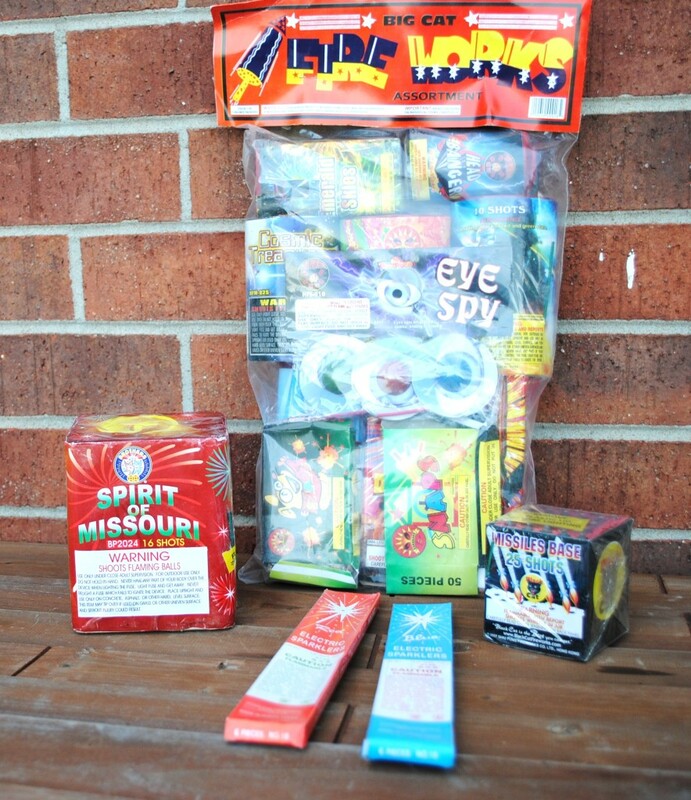 One party pack (that actually had some great stuff in it for not much money), two kinds of sparklers (the red ones were duds), and those other two items that did something cool (don’t know which did what). One quick note about our pets. We knew that the cats would not be excited about the fireworks so they got left inside. Our dogs so far have barely noticed fireworks going off so we let them stay outside. Flower seemed indifferent but Jazzy was so focused on her ball the entire time we only had to worry about her not paying attention enough to the fireworks and running right into them! Both dogs knew to step back from fire, though. Funny enough, the only fireworks they didn’t care for were those little snapper things that you throw down on the ground. Weird. At any rate, rest assured the Smith Furkids were all safe, secure and well supervised during the activities. Anyways, I had more fun with my camera and tried to get an assortment of pictures. I turned off the flash and opened up the light sensitivity and they are far from perfect but considering it was my first attempt, I think I got some decent shots. 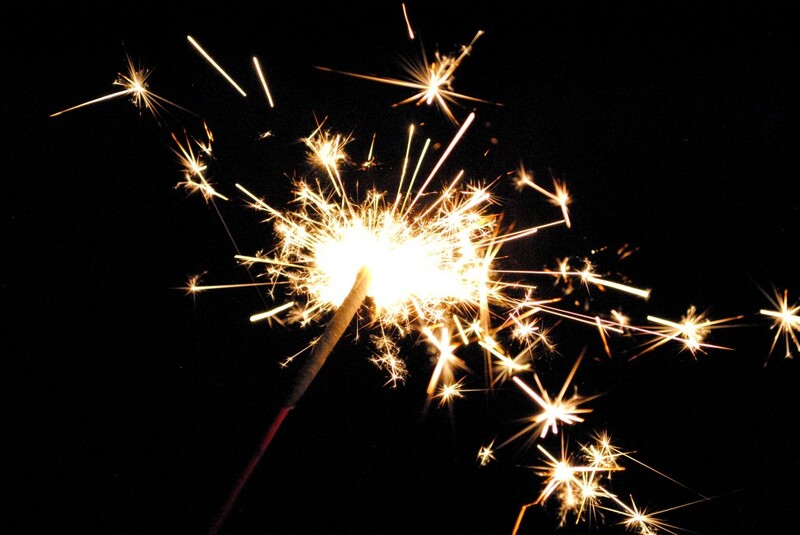 Did I mention I like sparklers? This is an angle of John holding one. 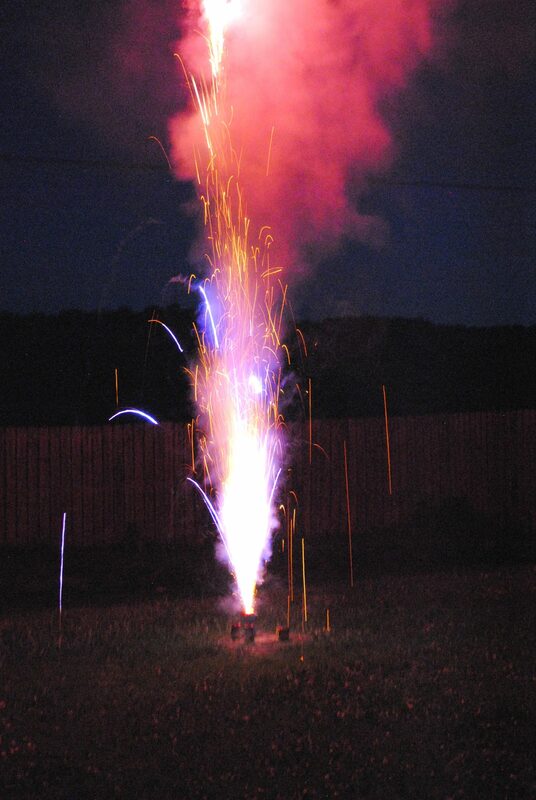 This actually isn’t one of our fireworks. Someone on the hill behind us was having a spectacular show with music and everything. This one shot doesn’t do it justice. This was one of those spinning eye ball thingies. They were part of that big package and the only ones we shot close to the house because they had to be on concrete. They didn’t shoot out or anything so all was safe (and we had running water nearby the whole time). This one was towards the end of our own show and the smoke kinda blurred everything a bit, creating a cool effect. This was one of my favorite of the “shooting” fireworks. So pretty! 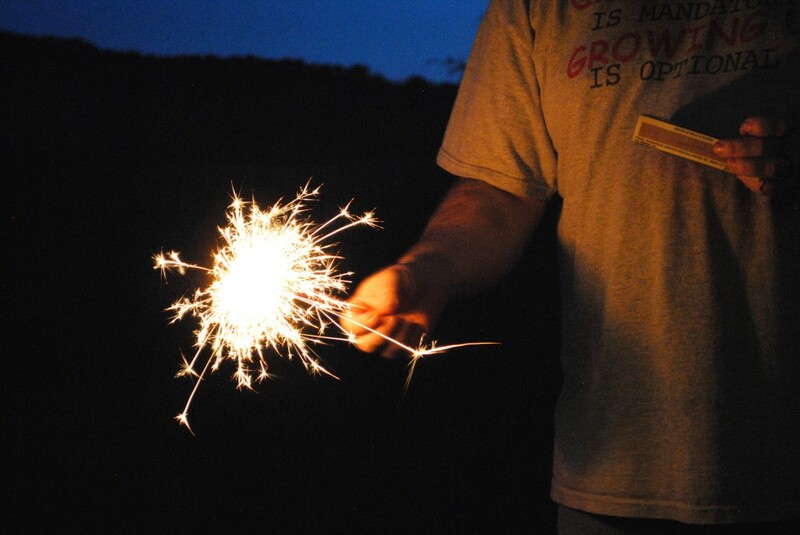 One of the final pictures I took of the night was of a sparkler I was holding myself. I love how you can see the stick as it’s burning and all the stars shooting out. Did I mention I like sparklers? You know, one part of celebrating Independence Day is the food. We decided to stimulate our economy yesterday and ate out at a Mexican place for breakfast (I discovered migas….delicious!) and we went to the new McDonald’s in our town for dinner (in a town of 2,500 a new McDonald’s is big news). Today, we’re grilling hot dogs, making spaghetti and smoking a blueberry crunch (recipe coming soon on that one). 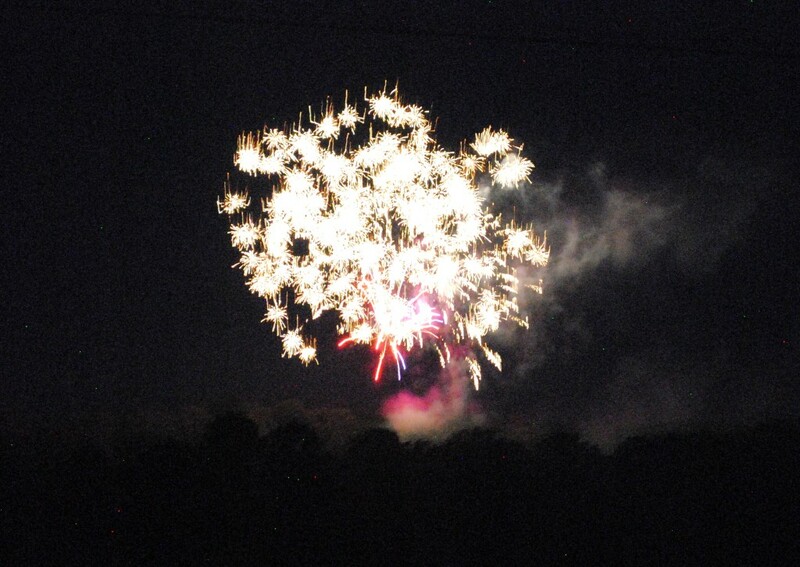 Isn’t fun to take pictures of fireworks? 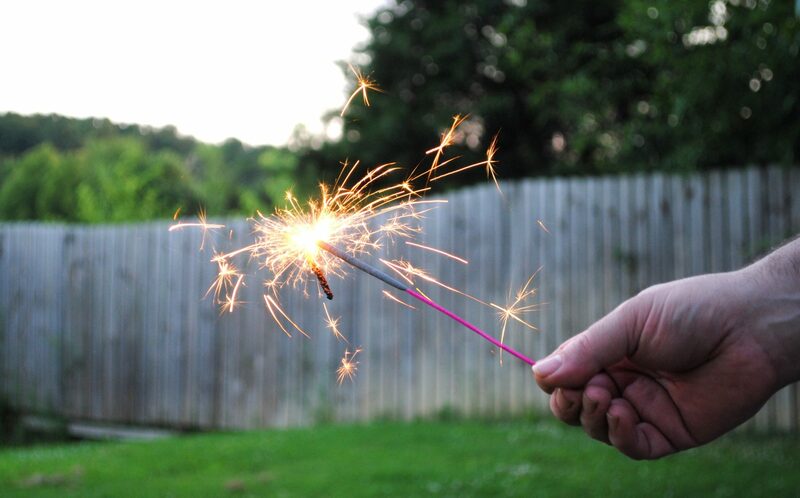 I agree with you – the sparklers are definitely the most photogenic. Hope you had a great fourth!